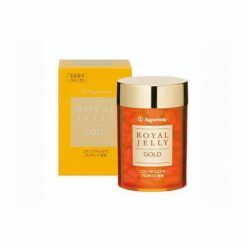 Raw royal jelly with a blend of reduced coenzyme Q10 and propolis. Each package contains 120 capsules / 350mg per capsule (each capsule contains 220mg raw royal jelly, 1020mg reduced coenzyme Q, 10mg propolis, 100mg vegetable oils and fats). Take 4–8 capsules daily with water. This product is not suitable for anyone with allergies to gelatin. 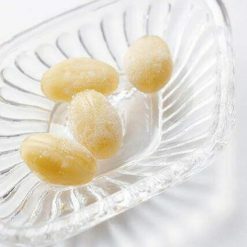 Origin of ingredients: raw royal jelly (Taiwan). Prepared and packaged in Japan.